Google is rolling out an update to Chrome OS to bring the Google Now experience to Chrome OS. 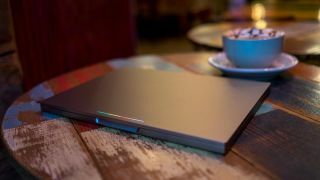 The feature was previously available in a beta of the Chrome operating system, and now all Chromebooks have access to Google's anticipatory search computing engine in the public release. Along with porting Google Now from Android to Chrome OS, there are a few other notable changes as part of the Chrome OS version 42.0.2311.87 update. Now, Chrome OS supports password-protected zip files and the Files app received a Material Design makeover. There is also an updated calculator and an improved Chrome OS Launcher that brings better search and voice search. Google isn't the only one porting its Google Now engine to Chrome OS. Similarly, Microsoft is bringing its Cortana search on Windows Phone to Windows 10, which is currently available in technical preview. Like Cortana, Google Now allows users to search the web - it integrates with Google search being a Google product - and it also anticipates when you need information to deliver relevant results without user intervention. Google Now will update you on the weather at home and at work, traffic conditions, travel times and delays, and news snippets based on your search history. Google presents the information that it anticipates will be relevant to you in a card-like UI. In addition to Google Now, Google is also porting its popular Android experience, which is reserved primarily for smartphones and tablets, to the Chrome OS. Google is making its Android Runtime for Chrome engine available to allow developers and users to run Android apps on Chrome systems. This gives Chrome users access to the 1.3 million Android apps available on the market today. In this sense, Chrome is growing up to be a platform for apps, and not just a gateway for web apps.